Even as historians credit ­Ronald Reagan and Pope John Paul II with hastening the end of the Cold War, they have failed to recognize the depth or significance of the bond that developed between the two leaders. Acclaimed scholar and bestselling author Paul Kengor delivered a talk on April 27, 2017 titled “A Pope and a President: John Paul II, Ronald Reagan, and the Extraordinary Untold Story of the 20th Century.” Based on his fascinating book of the same name, in it he revealed a singular bond—which included a spiritual connection between the Catholic pope and the Protestant president—that drove the two men to confront what they knew to be the great evil of the twentieth century: Soviet communism. 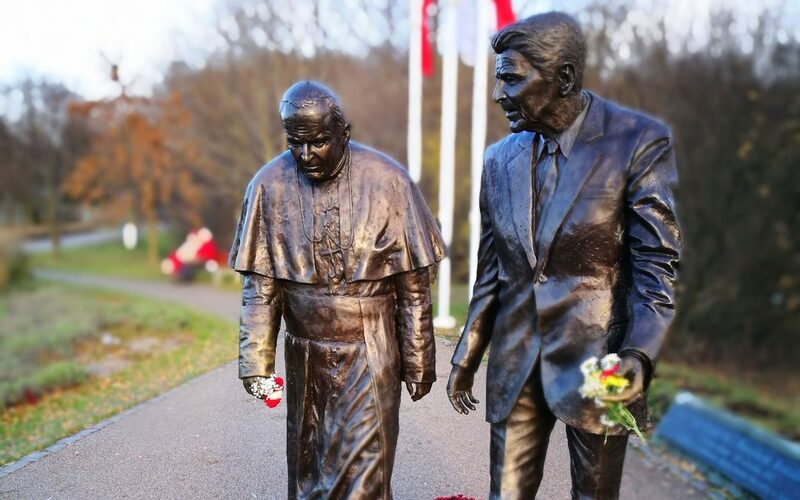 As kindred spirits, Ronald Reagan and John Paul II united in pursuit of a supreme objective—and in doing so they changed history.